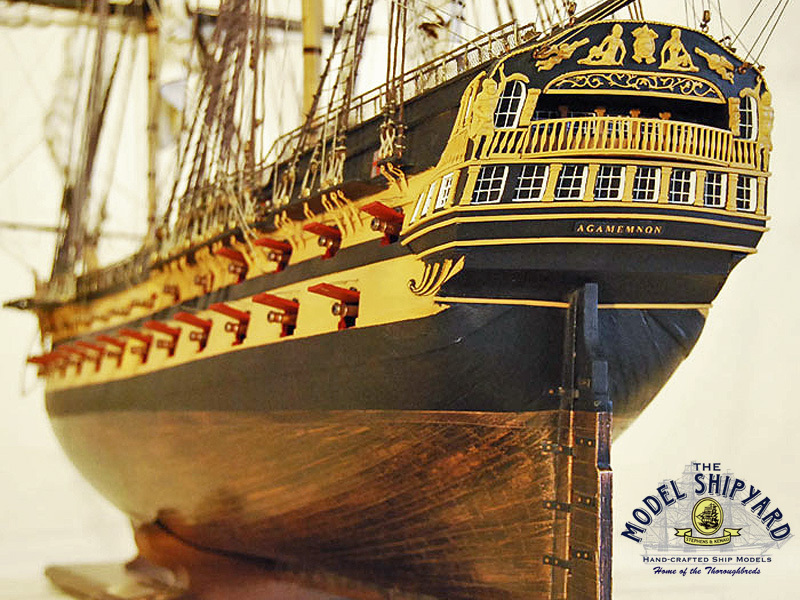 This HMS Agamemnon Model Ship is painted in the original colors of the original ship. Copies of the original ships plans of the HMS Agamemnon obtained from The National Maritime Museum Greenwich. The book ‘Anatomy of Nelson’s Ships’ by C. Nepean Longridge. The book ‘The Arming and Fitting of English Ships of War’ by Brian Lavery. The HMS Agamemnon was a third-rate ship of the line of the Royal Navy with an armament of 64. 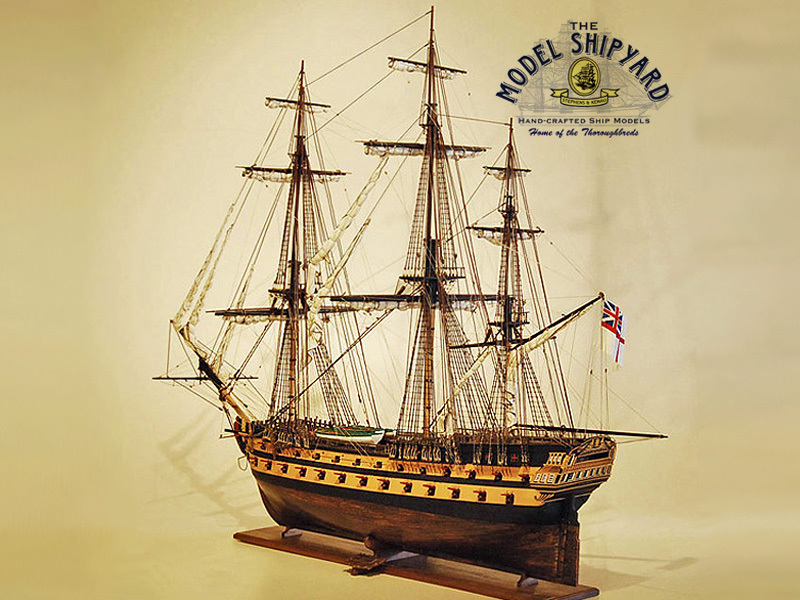 Henry Adams in Buckler’s Hard, England built the Agamemnon and launched her in 1781. She had a complement of 520. The HMS Agamemnon first saw action in the West Indies under Admiral Richard Kempenfelt’s squadron when it captured fifteen ships from a French convoy. 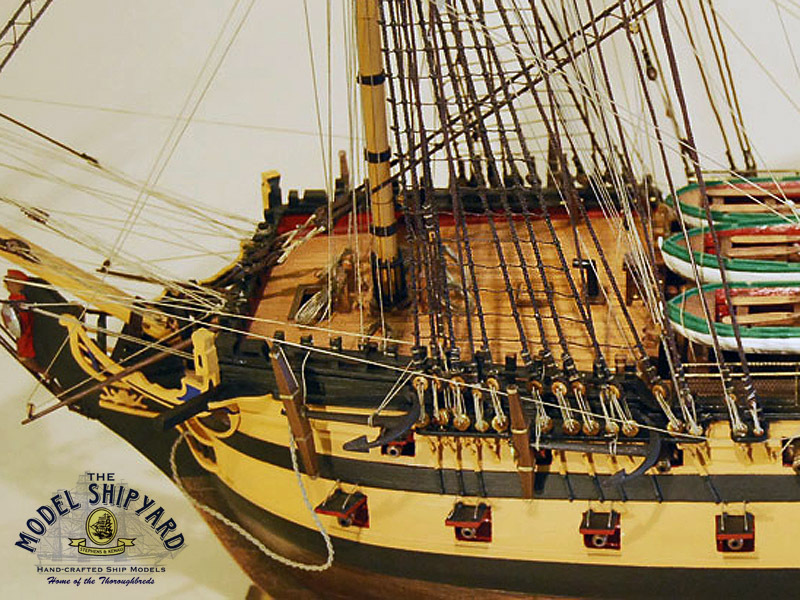 In 1782, in the Battle of the Saintes, the British defeated the French Fleet. 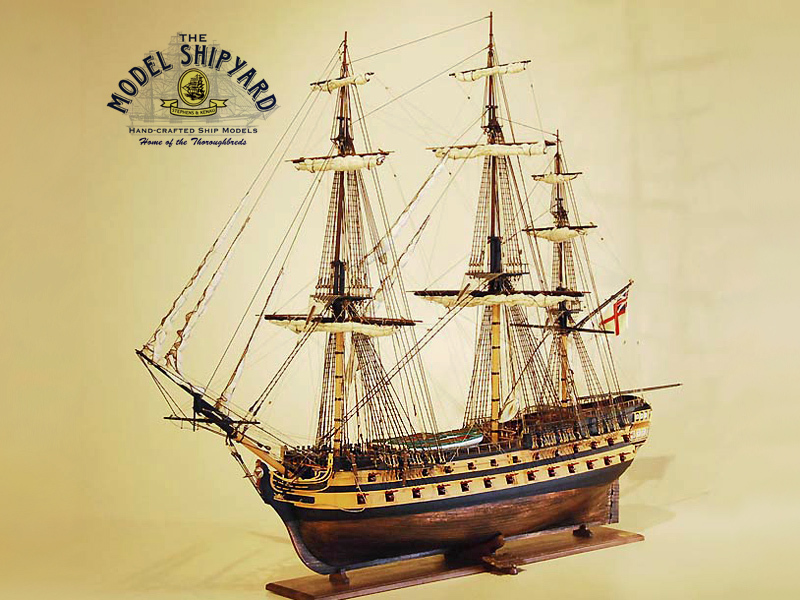 In 1793 the HMS Agamemnon came under command of Captain Horatio Nelson. Nelson sailed with Lord Howe’s Fleet in the blockade of Toulon and in the capture of the Corsican ports of Bastia and Calvi. Here, unfortunately, Nelson lost his right eye. 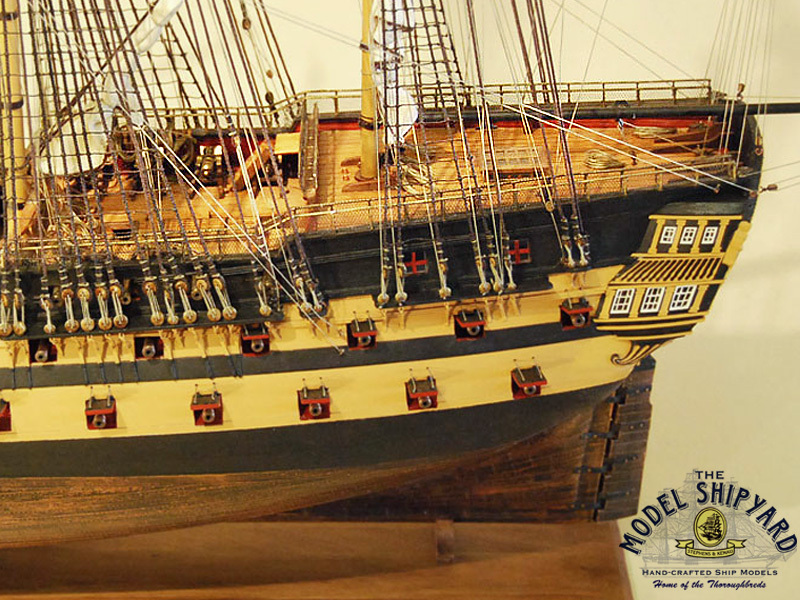 Nelson was very fond of the Agamemnon and described her as “without exception the finest 64 in the service”. He was the Captain of the HMS Agamemnon for 3 years and 3 months. 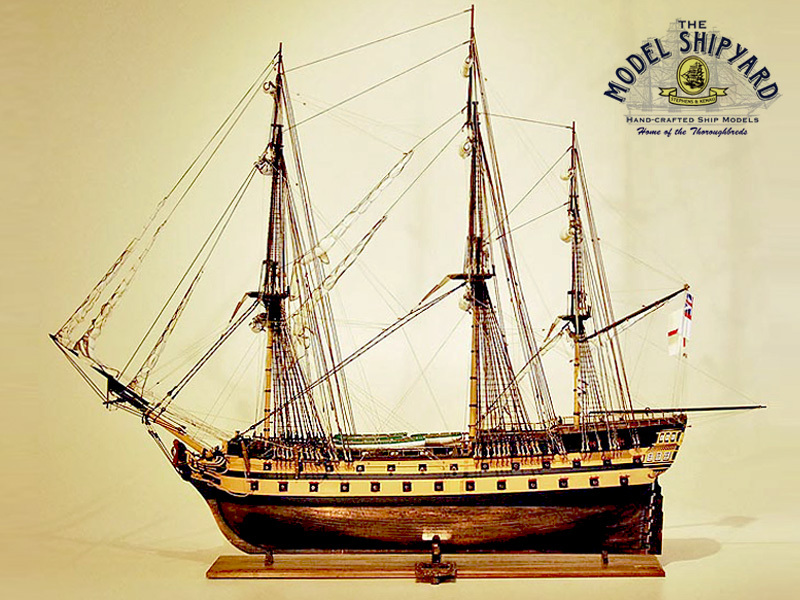 The HMS Agamemnon remained in the Mediterranean until 1796 during which time Nelson established himself as a daring commander. In 1801 the HMS Agamemnon was present at the Battle of Copenhagen. During the Battle of Trafalgar, the HMS Agamemnon sailed in Nelson’s weather column but escaped with relatively few casualties. 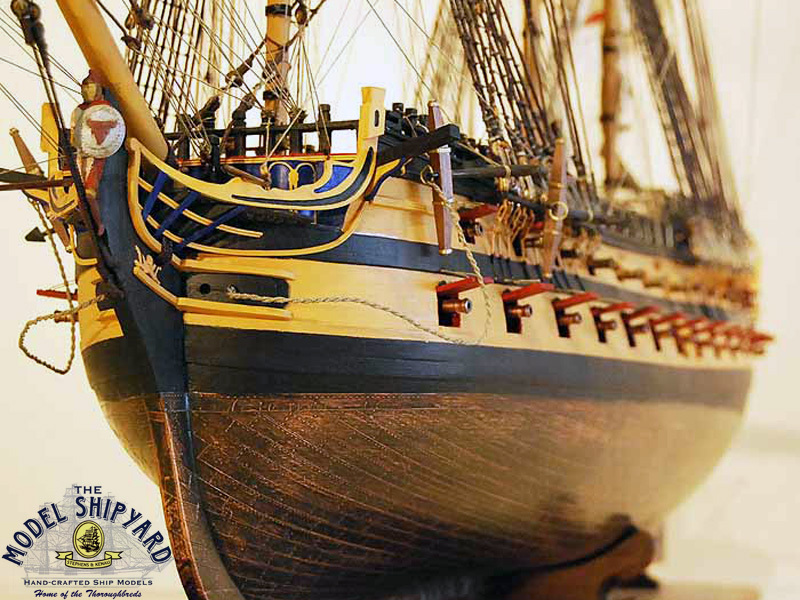 Over the next few years the HMS Agamemnon sailed in the West Indies and in 1809 while putting into the River Plate in a storm, she grounded on a reef and was lost, luckily without any loss of life.